Is The Magic Kingdom After Hours Pass Worth The Money? There's a lot of buzz online about the new Magic Kingdom after after hours ticket. 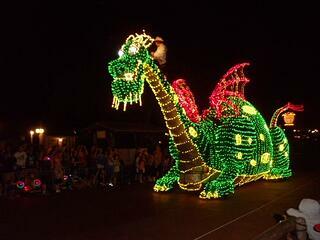 It's is a great way to experience the Magic Kingdom for a few hours with minimal crowds and extra treat and bonuses. Of course this sounds like a great idea but It's not necessarily the best choice for everybody. At $119 per person, it's almost the same price as a regular Magic Kingdom ticket. A full day ticket gives you a 7 to 12 hours. The after-hours ticket is a hard ticket and allows guests to enter the park at 7 p.m. and stay until the park closes. This is typically until about 10 or 11 o'clock at night. Which means for almost the price of a full day it will be paying for 5 hours in the Magic Kingdom. The benefit here is that it is a very limited number of people are permitted in the park during the after hours event. This translates into little to no wait on over 25 attractions in the park. Have you been dying to see the Seven Dwarfs Mine Train going through the que and see all of the cool things there for people to do but you didn't want to wait in a 90-minute line? During the after hours you will be able to virtually walk through at your leisure looking at all of the detail without spending an excess amount of time. Who should NOT buy an After Hours pass? If you are visiting with an infant or toddler who normally has an early bed time then take a pass on the after hours pass. You will have a cranky child and the experience will not be fun for you, your child and you may get the stink eye from some park guests. If you bought a day pass, have been going all day and you think spending more time in the parks would be a great idea…THINK again my friend! The average park visitor walks about 12 miles per day in the park during 8 hours. Also Bear in mind you’ll be paying twice as much money for the experience of feeling exhausted. Which type of guest is the right fit for the Magic Kingdom After Hours Pass? It is great for people who have a limited number of hours to spend at Disney world really want to experience Magic Kingdom. It's a life-saver for adult Disney fans who don’t want to experience the Magic Kingdom in the company 5,000 children. It's a perfect fit for Cruisers who are coming in staying one night at Disney World and leaving the next day. It’s works well when the main purpose of your trip is to visit the Grandparents but you’ve promised to take the kids to Disney for JUST one day. You’ll get more ride time and less waiting time visiting after hours. Your Magic Kingdom After Hours Pass also during special ice cream, popcorn and other snacks around the park. Want to be sure this is the right fit for your family? Talk to your travel agent today. Mary Ellen is our Vacationkids expert on all things Disney. She is also a Certified Family Travel Specialist from the Family Travel Association and dedicated Girl Scout Leader.